Take care of your laptop and protect it from unsightly dents and scratches with a custom laptop case with your very own creation. A custom laptop sleeve for 15” inch laptops are the right choice for you! Use your own pictures, designs, or logos and create a unique custom laptop case. Order before 11am (EST), ready to ship within 6 business days. From now on you can pack your bag or briefcase without having to worry! Our protective custom laptop sleeve is just what you need. Created to make sure that your laptop is cushioned against bumps and protected from sharp items in your bag, a custom laptop case is perfect for students and professionals alike. 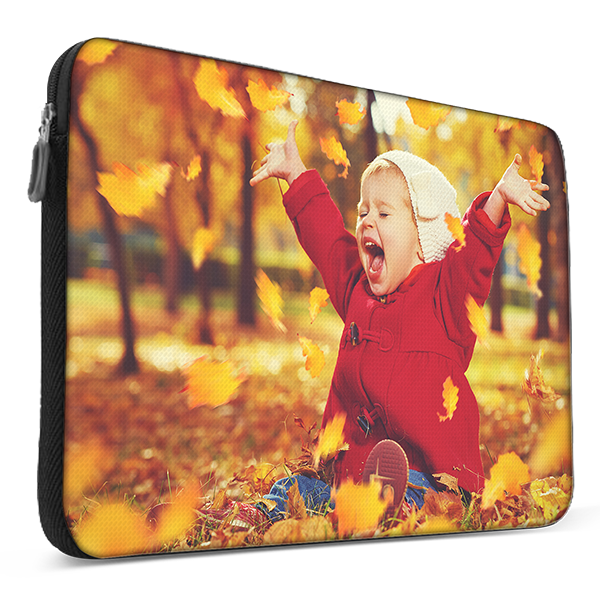 Use any design or photo and create the ultimate custom laptop sleeve to represent yourself. You can order your custom laptop case to protect your laptop while its sleek design will still easily fit into your purse or briefcase. It can be done in just a few minutes and starts by choosing one or more of your favorite photos or designs. If you don't have anything specific in mind, we also have a variety of designs for you to use. In just a few minutes, you can upload your images of choice through your computer, phone, or social media account. You can then make some small design adjustments such as resizing, adding emojis or adding a little text. Next, make sure you click the preview button, so you can verify your custom laptop case is perfect. Once that's done, all that's left to do is check out! We’ve made the process as simple as we could so you can receive your sleeve as fast as possible. 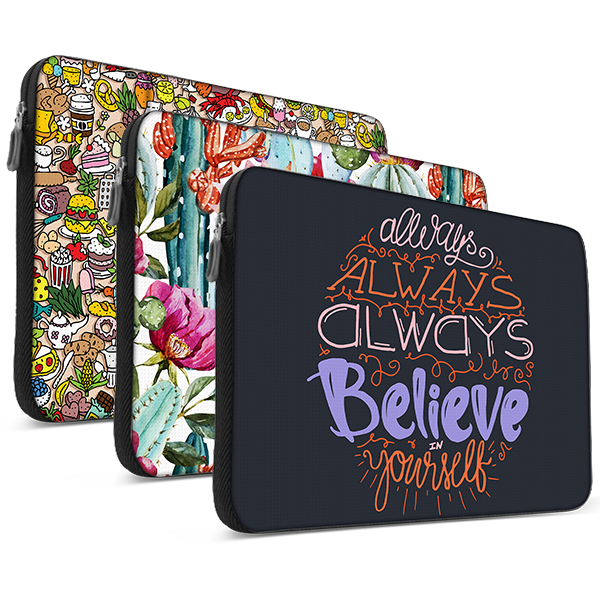 In just a few days you will be the proud owner of an amazingly designed custom laptop case. Start designing your custom laptop sleeve now! Once you have done your part and your order has been confirmed, our production team will start working on it as soon as possible. 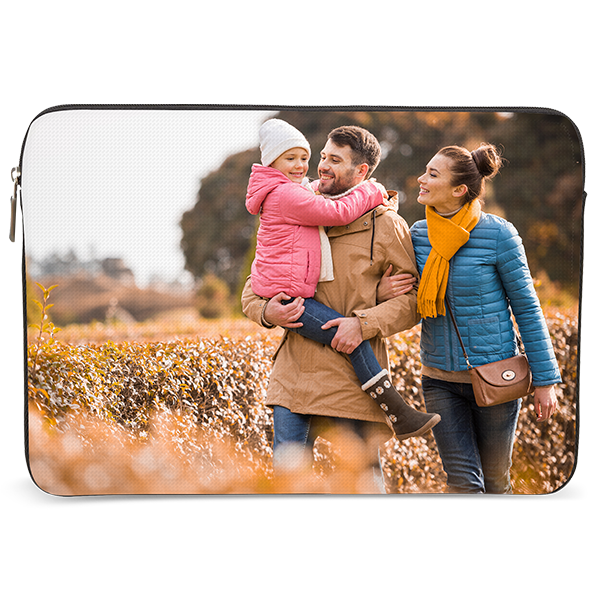 Your custom laptop sleeve will be printed with our special high-quality, scratch-resistant ink to create a sleeve with the highest-resolution images made from your own design. Once we have created your custom laptop case, we will ship it off with the shipping carrier of your choice and provide you with a tracking code. Your design will be on its way! A problem or question about your case? Our support team is always ready and happy to help you out with any issue or question you may have. Order your custom case now!